Supernatural Photos from "The Foundry"
Sam, Dean and Mary on a hunt? Together? 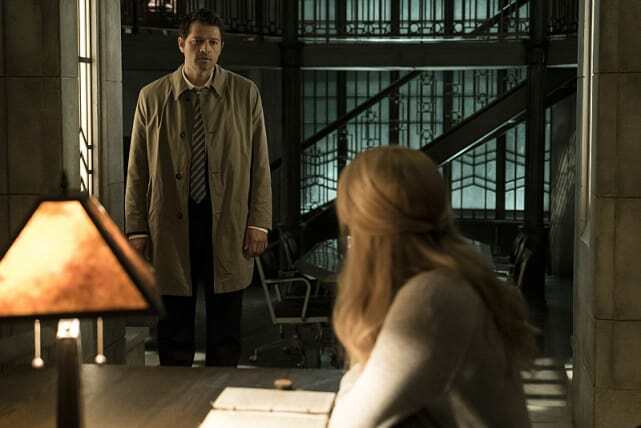 It looks like the Winchesters are really getting into the “family business,” according to these preview photos from Supernatural Season 12 Episode 3. It also appears that Mary has decided to get her hair cut for this latest case. When dealing with a ghost, it’s best to make sure to burn the bones. 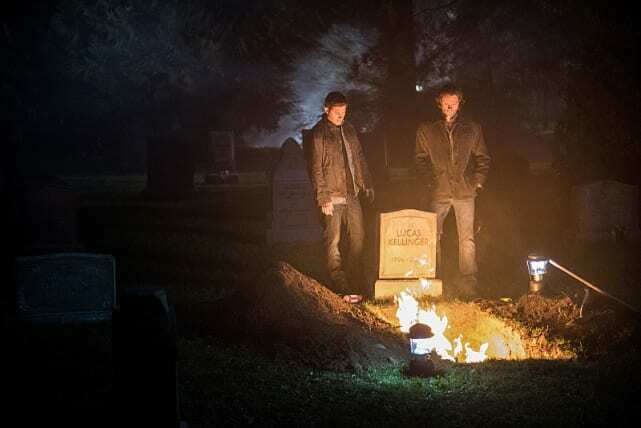 Sam and Dean clearly know that, though they’ve certainly got somber looks while staring at the flames. 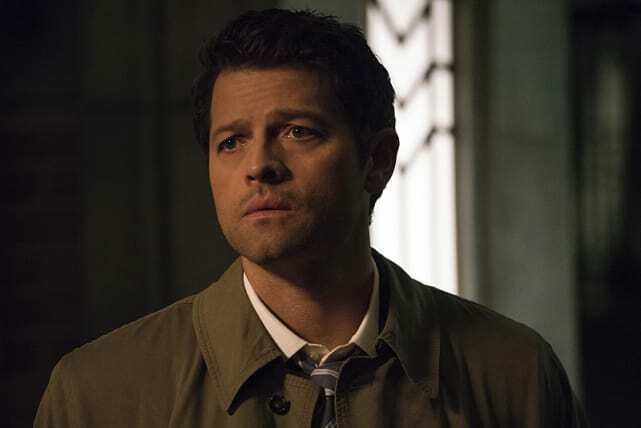 Both Sam and Dean have had their one-on-one time with Mamma Winchester, so why not Castiel? But what is the angel discussing with her? Netflix shows she should watch? It must be a deep conversation Castiel is having with Mary. Though he’s never been the biggest smiler, the angel looks somewhat sad. Perhaps she’s confided in him some secret about the boys? 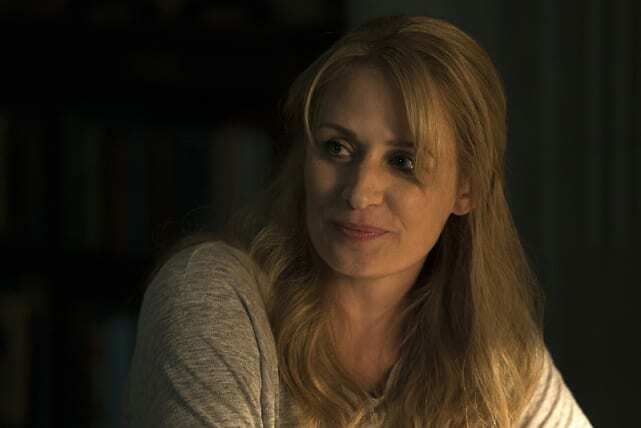 There’s something sincere and caring about Mary Winchester, and there’s no doubt she’s bringing that to her talk with Castiel. She’s really been a great addition to Supernatural Season 12! When you’re on the run from the Devil, you might as well grab a drink. 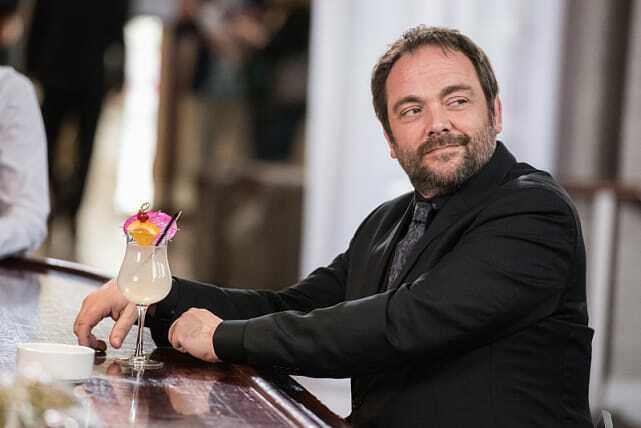 Though, Crowley doesn’t seem to be that concerned about Lucifer… or he’s already got a plan against his latest foe. Mary has decided to make a change for herself with her new haircut. And it looks good! However, Sam and Dean look a bit in disbelief over the new look. Supernatural Photo Preview: Winchester Family Road Trip!